Studying the history of Alsace would probably be a nightmare for school kids. This region (currently belonging to north-western France) has changed hands so many times between France and Germany throughout history that its culture became completely unique. 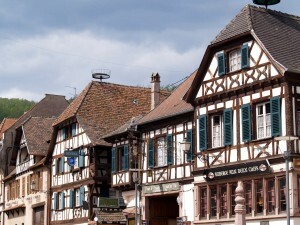 When you’re traveling through Alsace, you’ll wonder whether you’re in France, in Germany or something else altogether! 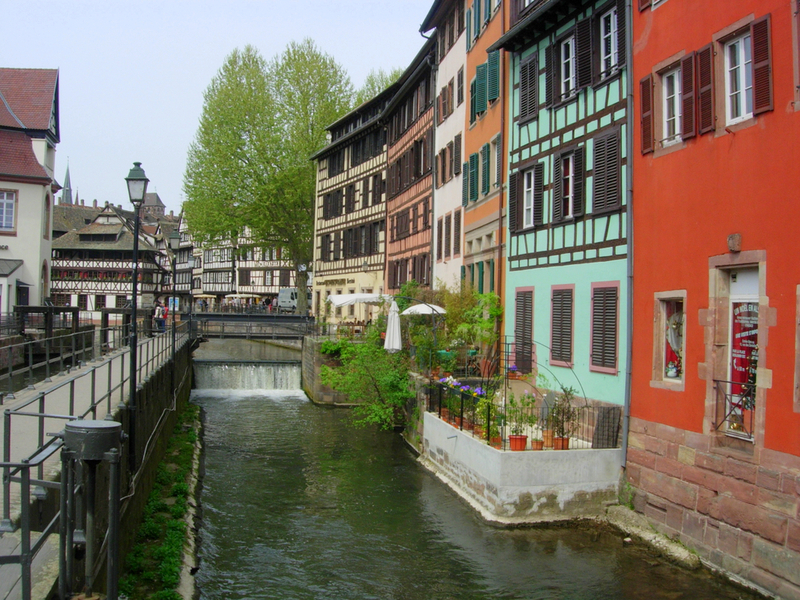 Suffice to say, Alsace is one of the most interesting and picturesque regions of France. It is a place of extraordinary beauty, quaint medieval towns and great wines, so for prospective visitors, here’s a short guide to Alsace. The people of Alsace are very proud of their nationality, and being mistaken for German is not exactly a compliment. The original language of the region was the Alsacien, which to the untrained ear might sound like German, although it is very different. 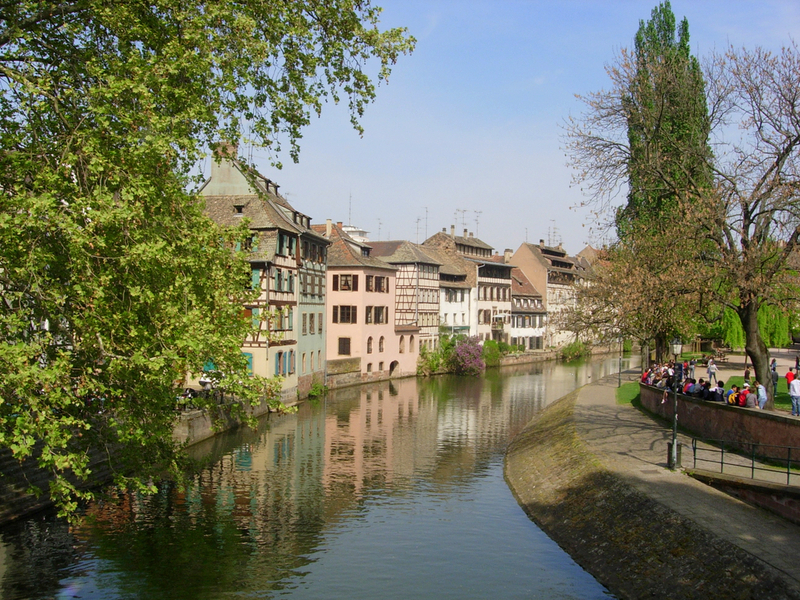 Very few people speak it anymore, but in recent years there have been attempts to revive the language, so you might see bilingual sings in some towns and in the capital of Alsace, Strasbourg. Alsace is a predominantly rural region, and there are many little towns and villages where you can get a taste of the Alsacian way of life. 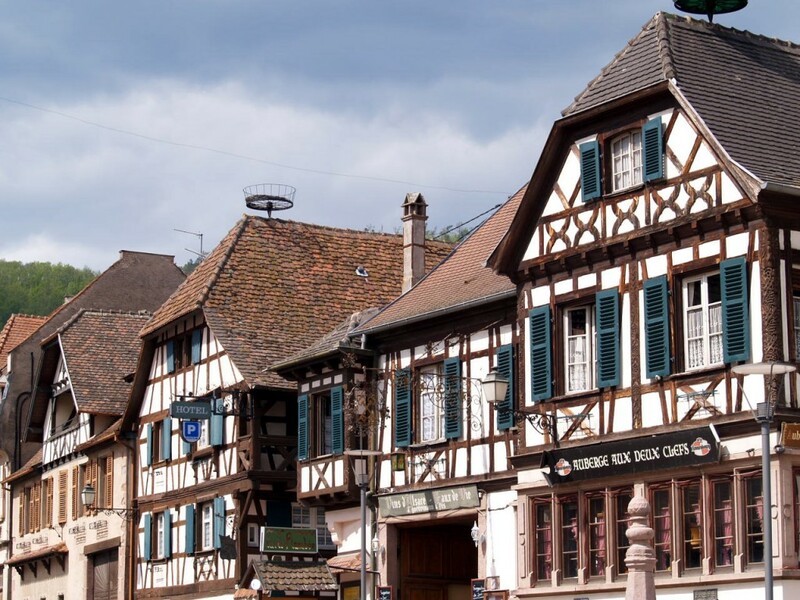 The cities usually have picturesque old towns where you can see some beautiful samples of Alsace’s specific architecture: walls with timber framing and roofs with flat tiles. The stork is Alsace’s symbol, and although the birds disappeared almost completely in the 70’s, but it was repopulated, and nowadays it is not unusual to see stork nests perched on the roofs of houses or churches. 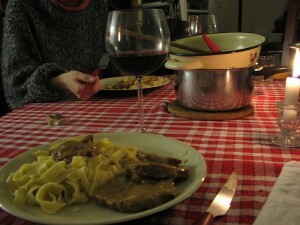 Alsacian cuisine is distinctive, and it was influenced a great deal by German cuisine. Pork meat is part of many dishes, and so is cabbage. Baeckeoffe, for example, is a delicious mix of potatoes, onions, lamb, beef and pork marinated in Alsacian white wine and juniper berries, with lots of seasonings. Tarte flambée is a thin bread spread with fromage blanc, onions and cubes of bacon (the sweet version has sliced apples, cream and cinnamon). Alsace is also an important wine-producing region, and Alsacian wines are mostly white and somewhat similar to German wines. Beer is also produced in great quantities in the region, especially in the breweries near Strasbourg. The natural beauty of Alsace is amazing, and if you like the outdoors, there are many great opportunities for walks and hikes, especially in the area where the Rhine valley meets the Vosges mountains. For some wine tasting and sightseeing, take a trip on the Wine Road (Route du Vin) from Wissembourg to Karlsruhe and visit vineyards and charming towns/villages. 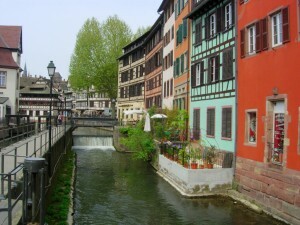 The capital, Strasbourg, has an amazing historical center, and Colmar, an important tourist town, has a stunning old town.